Did you know that Melbourne has enough water and sewerage pipes to encircle the entire globe? That’s 52,343 km at the last count, according to Living Victoria, a $50-million initiative supported by the state Government. Their point? Nearly all the water we use in the city is pumped from out of town – and we need to do something about it. While the cost of importing water goes up every year, we continue to waste more water than we use – nearly 900 billion litres annually, or enough to fill Sydney Harbour twice over. That’s water we could use for our non-drinking needs, and big water-users should be doing their bit to help. And yet, in that same 12 months, we pour around 450 billion litres of wastewater and a similar amount of rainwater and stormwater straight down the drain. While this isn’t suitable for drinking, we could (and should) use it for irrigation and other non-drinking purposes, saving the state (read: taxpayers) a heap of money into the bargain. Business, commercial and local government users account for the bulk of unnecessary water use, and the are plenty of ways we can act to preserve this precious resource. What wastes water, and what can your organisation do to help? Not all water leaks are obvious. Spotting a stream of water gushing from a burst pipe doesn’t require much detective work, but most leaks are more difficult to find. Over the years, multiple studies have shown that water leakage in larger premises accounts for a minimum of 10% of usage, and generally nearer 30%. 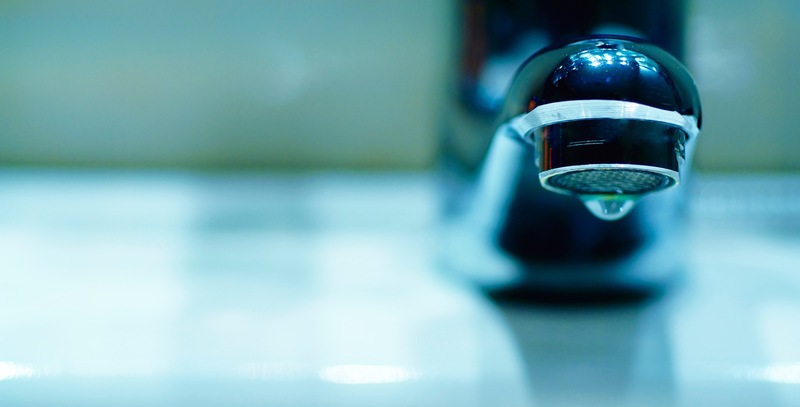 Fixing leaks is usually the most effective water-saving measure you can adopt. So where do I look? Well, start with the obvious. Leaking taps, overflowing toilets, faulty dual-flush mechanisms and poorly maintained appliances are all too common. Beyond that, damaged pipework, uncontrolled losses from cooling towers (overflow, splash, excessive evaporation, over-bleeding and drift) and over-pressure in building systems are other major contributors. Surely we know better than to use too much water? Not always, according to most authorities. Toilets, basins and showers come in for a hard time in most reports, with excessive flush volumes, overfrequent automatic flushing, over-pressure, non-automatic taps and over-long showering the main culprits. This might not sound like a lot, but in a public building or leisure facility, the wastage can be considerable. Externally, landscape watering and commercial irrigation systems are often big water-wasters. Any hose with a manual control is likely to deliver more water than is needed, and failing to group together plants with similar watering regimes means that some areas receive more than the optimal amount. Car washes, non-domestic laundries and commercial kitchens are other major offenders. Any water-consuming process that has a non-water based alternative (and there are lots of them) results in an unnecessary use of water. Head of the queue once more is the long-suffering toilet, with urinals a common water-saving target. In high-use public areas, the payback for installing waterless urinals can be as little as 1.5 months. Similarly, many traditional cleaning processes are prospects for replacement with water-free alternatives. Waterless cleaning materials for car cleaning and commercial office cleaning are already in widespread use, and even cleaning in commercial meat-processing plants has come under the microscope. Using alternatives to potable water is another big opportunity. Melbourne’s Water Future, one of Living Victoria’s headline programmes, aims to collect just some of the 400 billion litres of rainwater and stormwater to replace drinking water currently used for non-drinking purposes. Irrigation, landscape watering, toilets and commercial washing are only a few of the available targets. Industry offers yet more opportunity. Process water (cooling, washing, mixing) accounts for a big chunk of drinking-water usage, much of which can be replaced by rainwater or suitably treated wastewater. As Living Victoria reminds us, even in dry years, enough water falls on Melbourne than we use from our dams. Australia’s Department of the Environment and Heritage leaves us in no doubt. In almost every office or public building, savings of between 30% and 40% of usage are achievable. Many of the answers are open to every organisation – here are a few. A lack of understanding accounts for a significant proportion of water wastage. Businesses and other organisations can do almost always do more to raise awareness of water-saving initiatives – with education providing the foundation. Have no worries about starting early – some significant reductions in water usage have come from the state’s schools, where initiatives like SWEP (Schools Water Efficiency Programme) and AuSSI Vic (Australian Sustainable School Initiative Victoria) prepare the way by instilling life-long good habits. Building-management checklists used in schools are equally applicable to businesses and other organisations. Providing your people with the tools and the training to undertake water-efficiency audits encourages them to find ways of saving water. Successful projects focus on easy gains from so-called “low-hanging fruit”. These include fixing leaks and maintaining poorly adjusted fittings, identifying areas where timers or automatic-flush systems can reduce water usage and adopting non-water based approaches to cleaning and other day-to-day processes. Make water efficiency a core part of your organisation’s operating policies, and give your people an incentive to be part of your in-house programmes. Offer small prizes for your best water-saving initiatives and recognise successes publicly. You’ll be amazed what people can achieve when they try! Start with the basics – if you can’t measure it, you can’t manage it. If you don’t know where your water meter is located, make it your first priority to find out – and remember, larger premises may have more than one meter in different areas. Ideally, install SMART meters that provide detailed analyses over time. Make someone responsible for taking and recording regular readings, particularly at the start and end of your working day, and identify any unusual patterns. If you’re using water during the night or at other times when your premises are unoccupied, you’ve got a leak. If you run a 24-hour operation, install additional meters to monitor those parts of your site separately. You don’t have to fund it all yourself. Ask about small business rebates of up to $2000, available under the Living Victoria Water Rebate Program. This is now open to businesses with up to 50 employees and available until 2015. At Reliable Plumbing, we employ qualified and accredited installers and testers for backflow-prevention devices and we can help you comply with your legal obligations. Remember, we’re only a phone call away. If you need further information or advice, call us on 1300 78 20 40 any time. We’re there to help.